The first edition of GemGeneve will take place from 10 to 13 in Geneva. 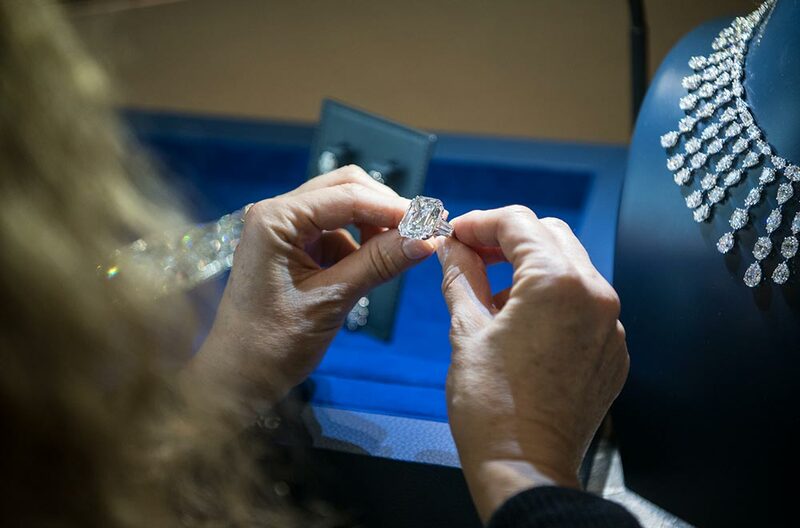 Initiated by two dealers in precious stones and antique jewelry, Ronny Totah and Thomas Faerber, the show is already a success: about 150 exhibitors and the waiting list is growing. Merchants and lapidaries met in New York are eagerly awaiting their arrival in Geneva. - Isabelle Cerboneschi, back from New York. A set of diamonds and Colombian emeralds to discover on the stand of Michael Gad. Photo: © Scott McDermott photography. Diamonds are a girl's best friend ... At William Goldberg. Photo: © Scott McDermott photography. Ronny Totah and Thomas Faerber. Photo: © GemGeneve. 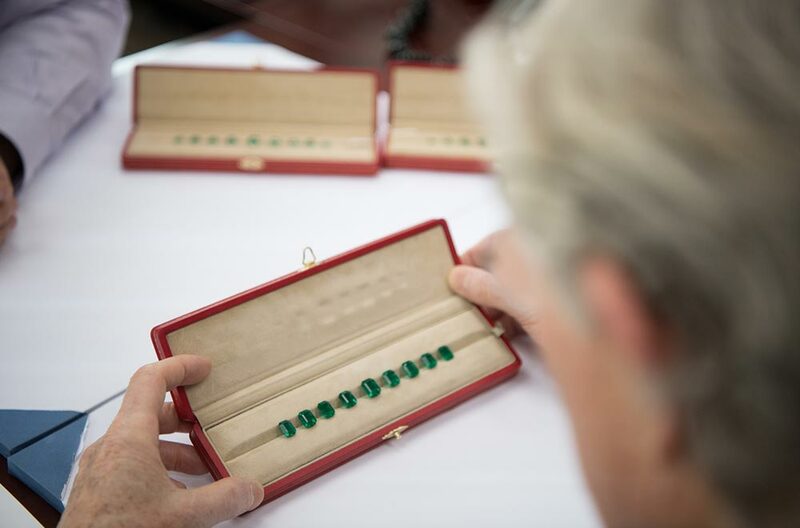 All eyes are turned to Colombian emeralds, the specialty at EMCO. Photo: © Scott McDermott photography. 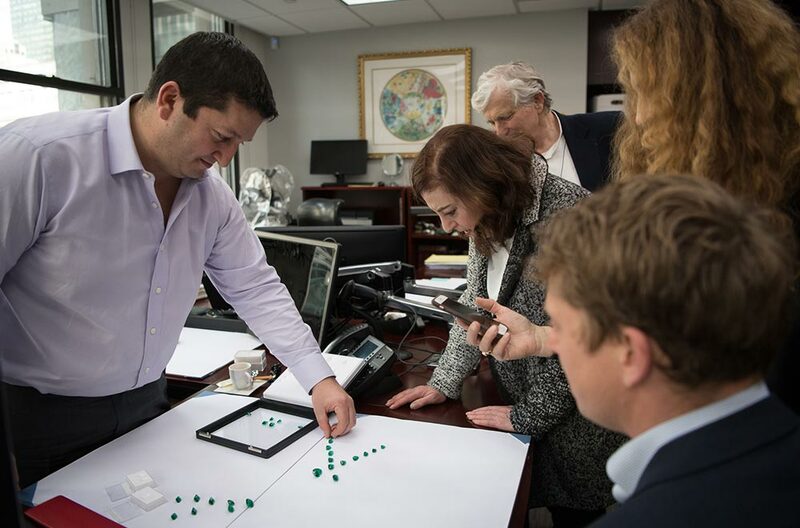 Thomas Faerber discovers a suite of Colombian emeralds at EMCO in New York. Photo: © Scott McDermott photography. A beautiful Boucheron necklace, to discover on the stand of Yafa. Photo: © Scott McDermott photography. Which one to choose? Photo: © Scott McDermott photography. With writer and journalist Vivienne Becker in the offices of Heritage, New York. Photo: © Scott McDermott photography. Ronny Totah, Saul Goldberg and Thomas Faerber. Photo: © Scott McDermott photography. For decades, Ronny Totah and Thomas Faerber did what they did best; buy antique jewellery, Burmese sapphires, natural pearls, jewels of royal provenance, precious stones, they exposed them at fairs and shows, sold them, sometimes kept. 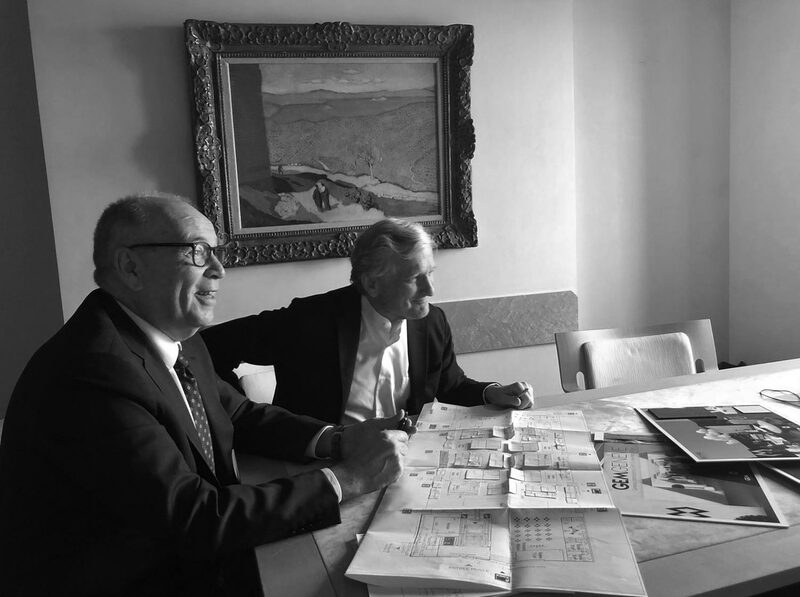 For decades, Ronny Totah and Thomas Faerber have built their reputation as they build a solid home for future generations. They have done their job with the passion that drives them, with their intuitions, trying to get a chance on their side, because every purchase is a risk taking. They made some mistakes too, "because the one who does not make it is not a good merchant," confides Thomas Faerber. That's what Ronny Totah and Thomas Faerber have done for decades. They have known each other since 40 years. This makes for many fairs shared. And then in 2016, tired of not finding a fair that takes into account the real needs of their profession, they had the idea to create it. They talked; with partners, traders, friends, and without insurance, without guarantee of result, all followed them. They are highly respected names in the jewellery world, William Goldberg, Michael Gad, Yafa, Maria Canale, the GIA, the Gübelin Gem Lab, to name but a few of the 150 exhibitors. "GemGeneva was born from two wills that had not at first, agreed says Ronny Totah. But it was in the air. Thomas and I, each on our side, thought it was time to create a tailor-made show for our job and we ended up talking about the same thing. "" And this adventure, this madness could we say, is coming to fruition! Thomas Faerber continues. It's exciting because we learnt so much. Even if we were organising an event; we were previously in our offices, each working for ourselves, and here we are united in order to achieve something for our entire profession. " The two men have been working tirelessly for eight months on this project, with the enthusiasm of two young people with a start-up who hope that the show will live up to their dream and the expectations of the exhibitors. I had the privilege of being able to follow them for a few days in New York, in the discreet offices of the merchants of 48th Street. 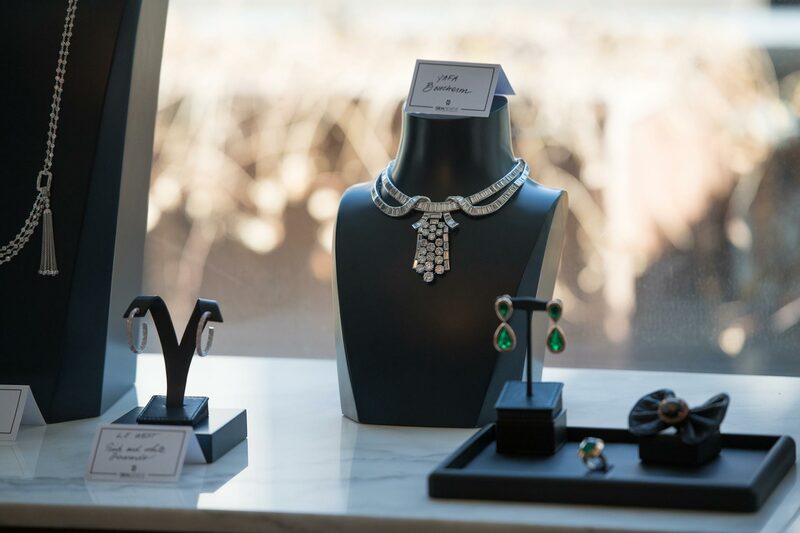 Ronny Totah and Thomas Faerber have admired some of the pieces that will be presented at GemGeneva, Colombian emerald suites at Emco, Ashoka® cut diamonds jewels at William Goldberg, "if they are not sold by then", historical jewellery by Cartier, Van Cleef & Arpels, Boucheron. But contrary to their habits, they did not come to New York to do business: just to talk about GemGeneva. This show will highlight merchants and stonecutters, antique jewellery sellers, treasure hunters. "We travel all around the world, in Switzerland, in Hong Kong, all over the United States, we go to shows, auctions, we meet private customers to find all these pieces. It happens that we come across a jewel by chance. 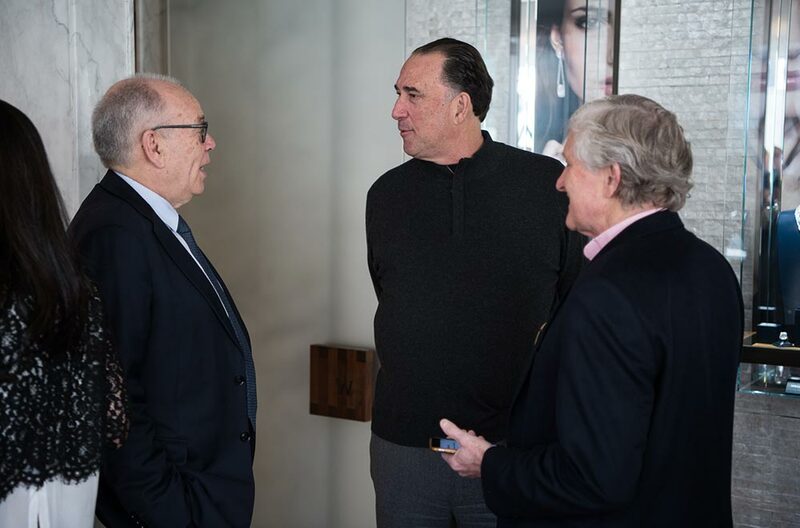 It's a quest, "says Maurice Moradof, the founder of Yafa, who we met at the offices of William Goldberg. "All the exhibitors are small and medium-sized family businesses, with a boss, a philosophy, an ethics behind it" says Faerber. We created this salon to support our brotherhood, we occupy niches and we bring knowledge that only individuals can bring to our area. " "I think GemGeneva is going to be an exceptional show, a great experience," says Moradof. The quality of the exhibitors that the organisers have chosen is really high. And when you put so many great people in one place, wonderful things happen". All this adventure did not start in 2016, but well before. "It started in 1970 for Thomas, 1980 for me, says Ronny Totah. These are all the years in which we have built relationships of trust with the players in this industry that have allowed us to think up GemGenève and ensure that they follow us. 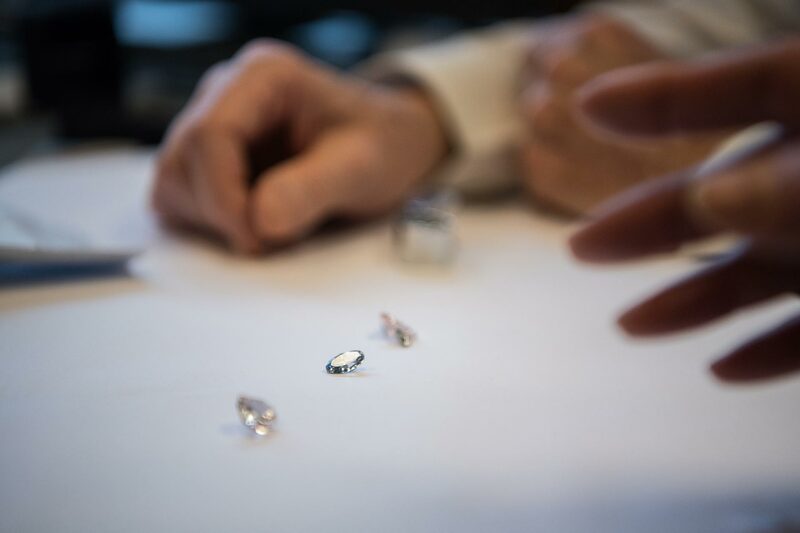 As well as alongside our four internationally renowned gemological laboratories: GIA, Gübelin Gem Lab, SSEF and GemTechLab. " The waiting of the exhibitors is great. 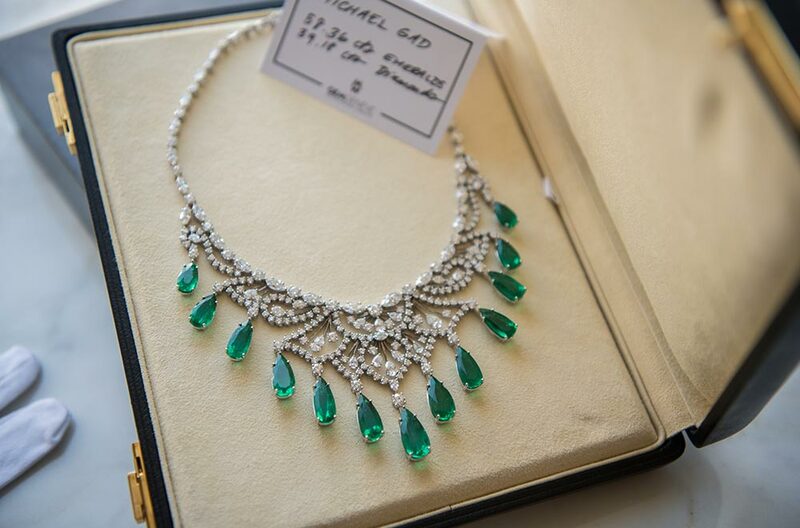 "The previous shows have disappointed us and we are all looking forward to GemGeneve: all the traders in our industry are hyper optimistic and we look forward to doing great business together," said Justin Sachmechi of Michael Gad, presenting me a finery set with diamonds and 13 emeralds from Colombia carved in pear totaling 58,36 carats. These shows are just the only way this industry has to open up and show themselves to the world. However, confronting "organisers who must sell square meters" almost every month and who do not do much to meet the needs of the exhibitors, can't exist in the long run. "We designed this show by putting ourselves in the shoes of those who organise, those who visit, but above all those who exhibit," says Ronny Totah. We now all have an exhibition created by two people who are organising it from the inside out. Our adventure is a family affair. " Between the International Salon of Haute Horlogerie (SIHH) in January, GemGeneve in May, The EPHJ-EPMT-SMT - the World Fair of High-precision that brings together the subcontractors of watchmaking, in June, with 850 exhibitors gathered on 36'000 m2 exhibition, and auctions in May and November, it is the whole of a profession that is represented in Geneva. "It puts the city back in the place it should never have lost," says Ronny Totah. "If Basel is a focal point for presenting watches, jewellery needs to be displayed in a different environment Geneva. is the place to be"says Ursula Piekut, director of sales and marketing at Maria Canale Jewellery. The show will be held the same week as the auctions and there will be a GemGeneve desk at Christie's. The two big houses Christie's and Sotheby's will offer some visibility to this new event. A virtuous circle in short: the customers of one are the customers of others. Given the enthusiasm generated by such an initiative, one can reasonably believe in the success of an economic model that would be based not on cynicism, arrogance, short-term vision and profitability at all costs, but on the future. experience, union, shared passion and respect for the word given. * NB: I wanted so much to discover this secret world and to discover in preview of the exceptional jewels, that I took charge of my trip.